Islamabad - A. Hameed, a prolific Urdu fiction writer, who rendered great services to national language has passed away, closing a golden era of Urdu literature. A. Hameed died at the age of 83 in Lahore on Friday. He was a patient of cardiac disease and diabetes. In his condolence message, Fakhar Zaman, Chairman of Pakistan Academy of Letters (PAL), lauding Hameed’s services to the literature, recalled that “Urdu Nasar Ki Dastan and ‘Urdu Sher Ki Dastan’ are considered trendsetting publications in Urdu literature.” His other famous books are Mirza Ghalib, Dastango Ashfaq Ahmad and Mirza Ghalib Lahore Main. 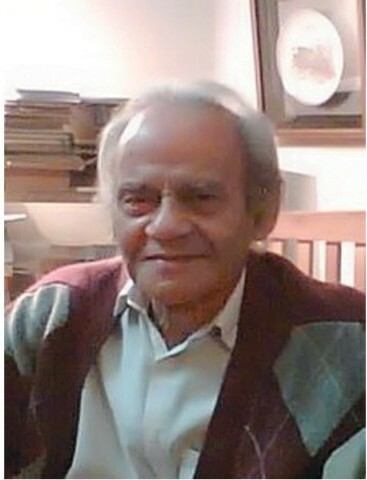 Abdul Hameed, whose nom de plume has always been A. Hameed, was one of the most popular Urdu fiction writers from Lahore. He Hameed was born in 1928 in Amritsar. His first collection of short stories Manzil Manzil got a great acclaim from the readers and made him a well recognized romantic short story writer. He has written over 200 novels and 100 books for children, among which the most popular play for children, ‘Ainak Wala Jinn’, is still remembered for its vivid imagination, colourful characters and thrilling story. Apart from writing short stories and novels, he wrote columns for national newspapers and also wrote Radio and TV programmes. A. Hameed’s son, Masood Hameed said his father left Voice of America because he never felt comfortable there and quoted his father as having said: “I can’t live anywhere in the world except Lahore. I am in love with the city”. A finest prose writer who wrote poetry in prose, who talked about flowers, trees, woods, birds and the beautiful scenic and picturesque valleys and landscapes. The Best Coke Studio Song of the Year?